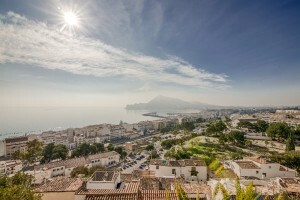 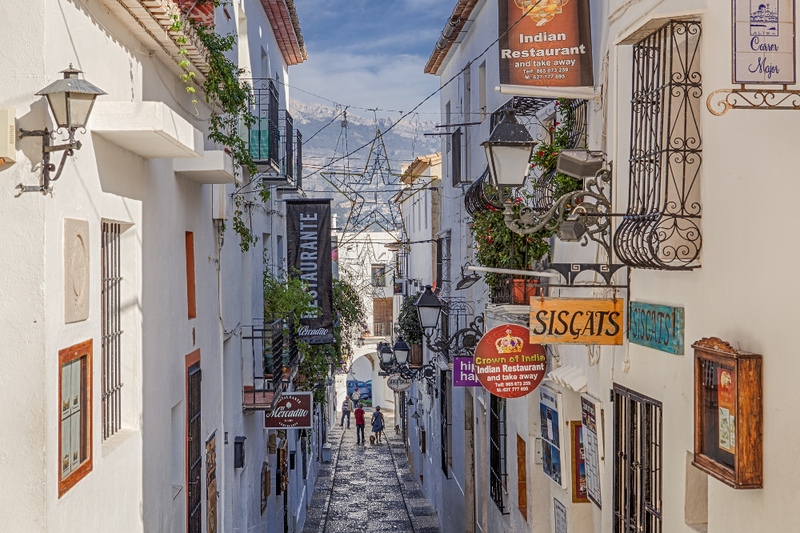 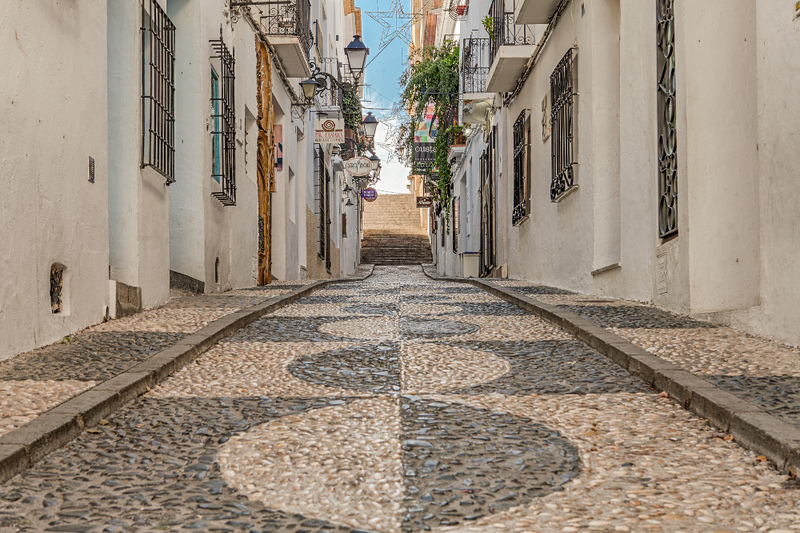 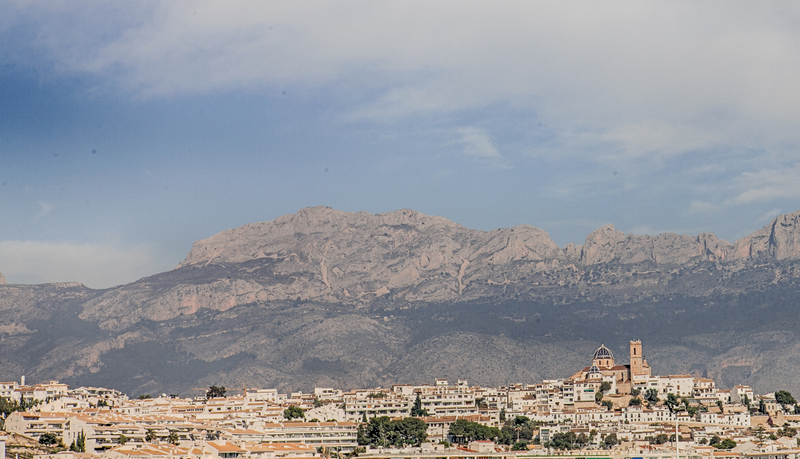 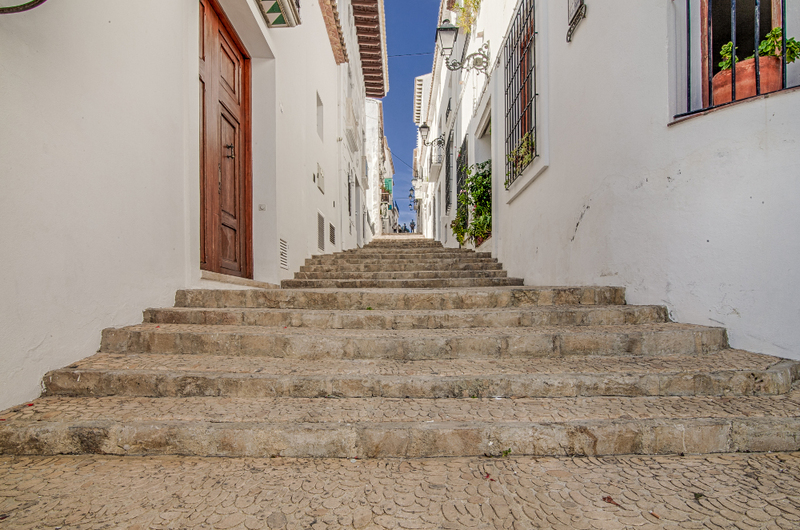 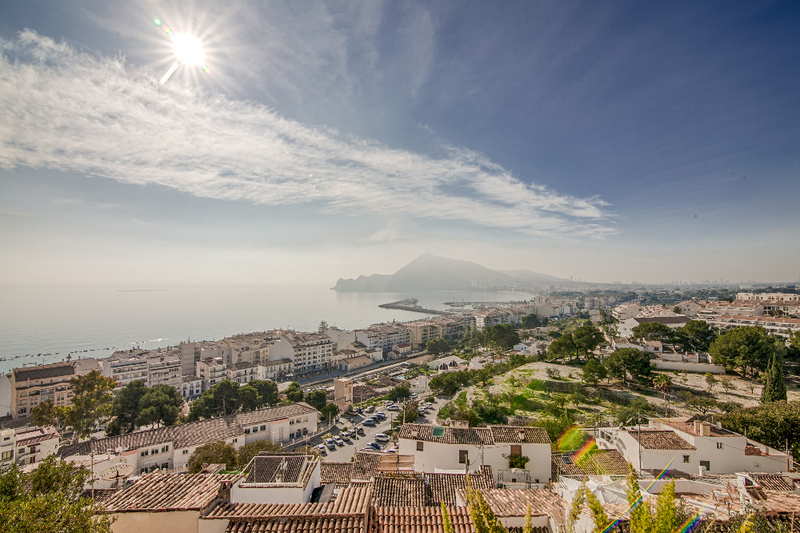 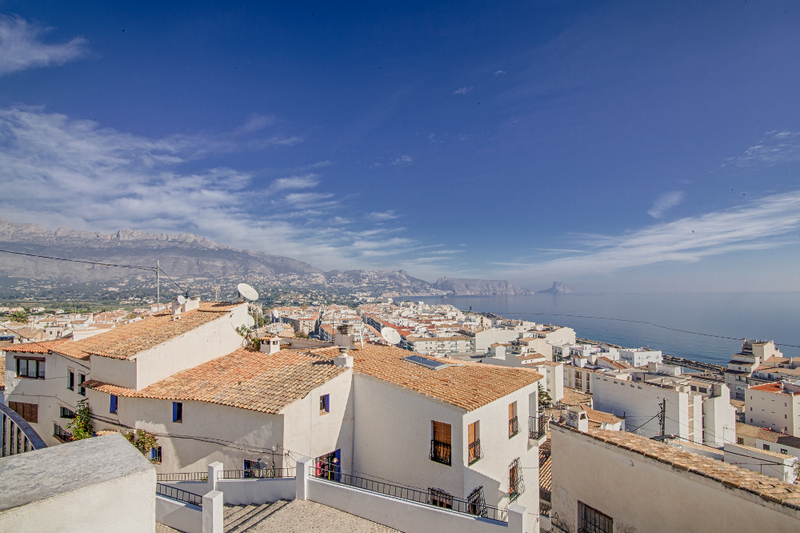 Altea is a village with approximately 24.000 inhabitants, located 55 km north, surrounded by mountains and abundant nature, is traditionally a fishing village and for many the most charming village along the Mediterranean. 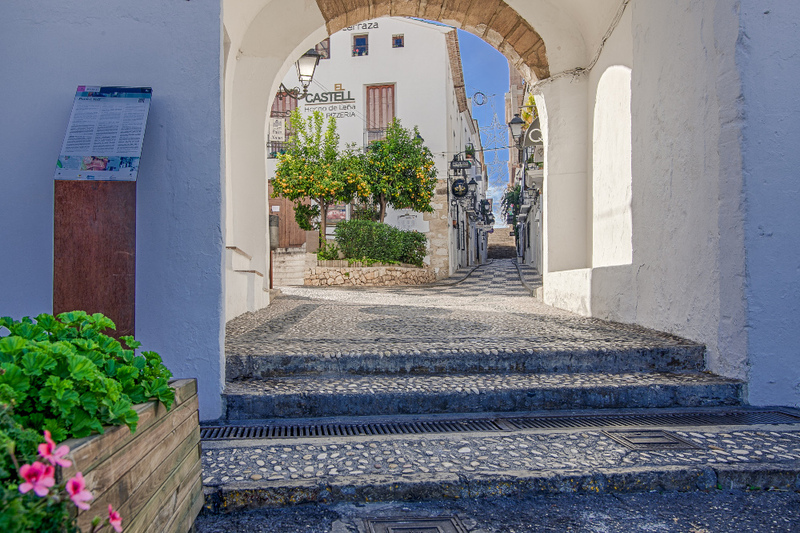 Its old town situated high on a hill, is full of romantic corners, steep streets and white façades in true Mediterranean style. 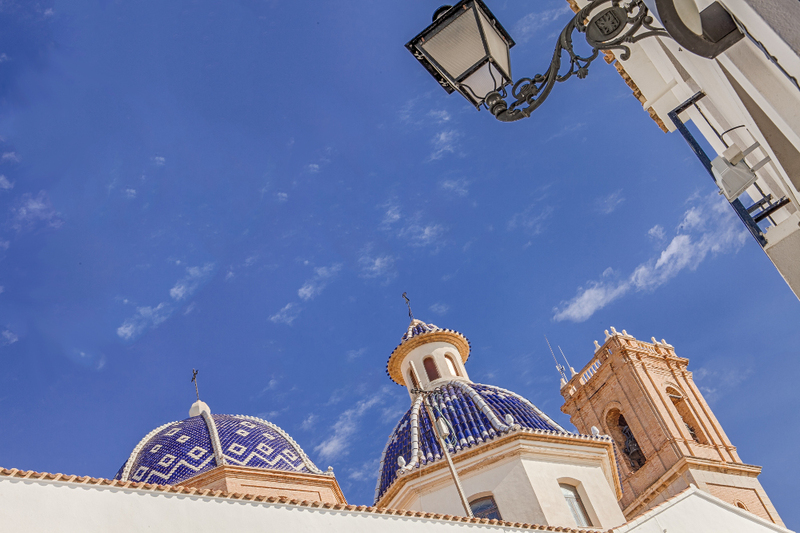 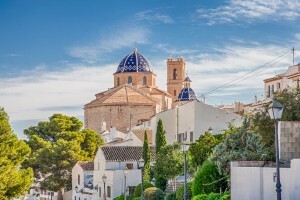 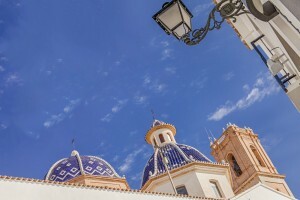 On top of this fabulous old town we can find the Church of the Virgen del Consuelo with its large and spectacular dome topped by unique blue and white tiles. 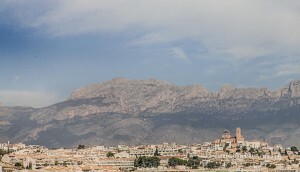 From the church square the whole region can be observed. 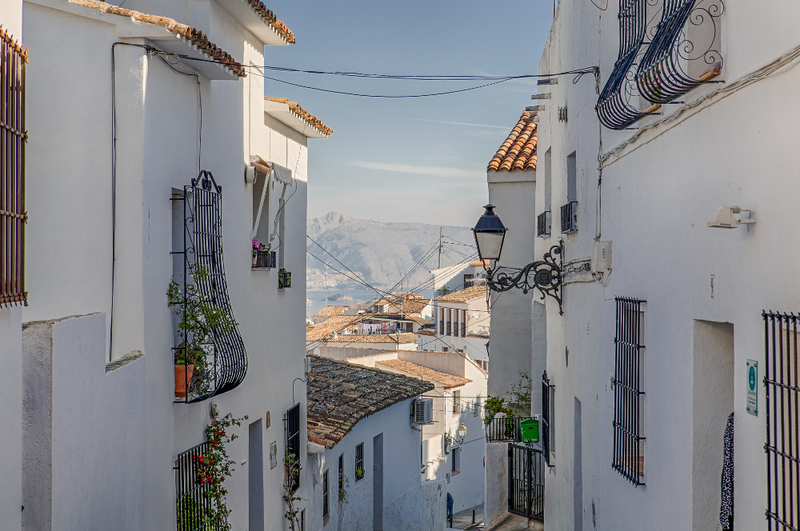 From there we can walk down to the centre through stepped cobbled streets, adorned with small balconies and viewpoints, running between whitewashed houses, which once were protected by a solid wall. 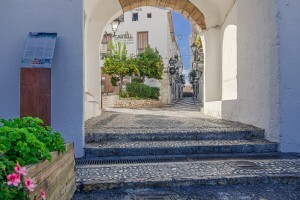 Artists’ studios and craft shops are common in this traditional urban space. 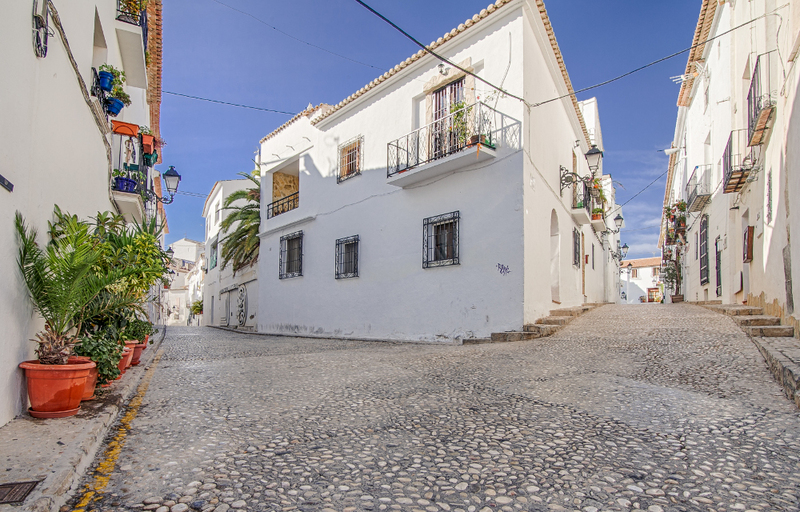 At the lowest part of the town we can find the commercial and administrative area, the neighborhood of fishermen and the harbour, which maintains a great fishing activity. 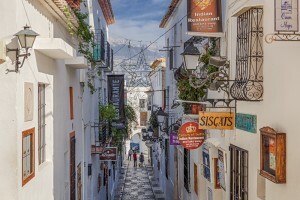 Also the crowded promenade with many restaurants and six kilometers of beach, where boulder beaches alternate with small coves and cliffs.